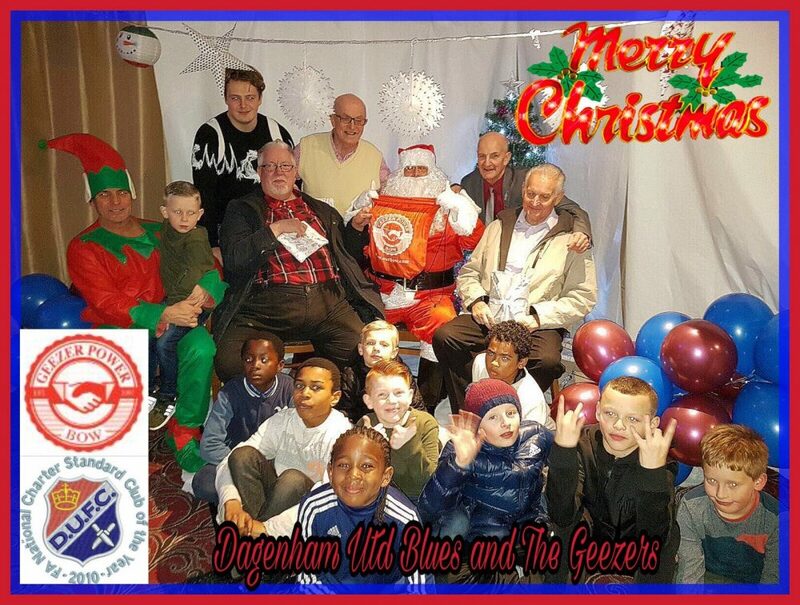 Geezers Ray Gipson, Ricky Ayliffe, Don Tomlin and Barrie Stradling attended the Dagenham United U10 Blues Christmas Party (15th Dec), where they were supplied with free drinks (!) and a buffet. The Under 10 Blues Little Geezers met The Geezers in the flesh. 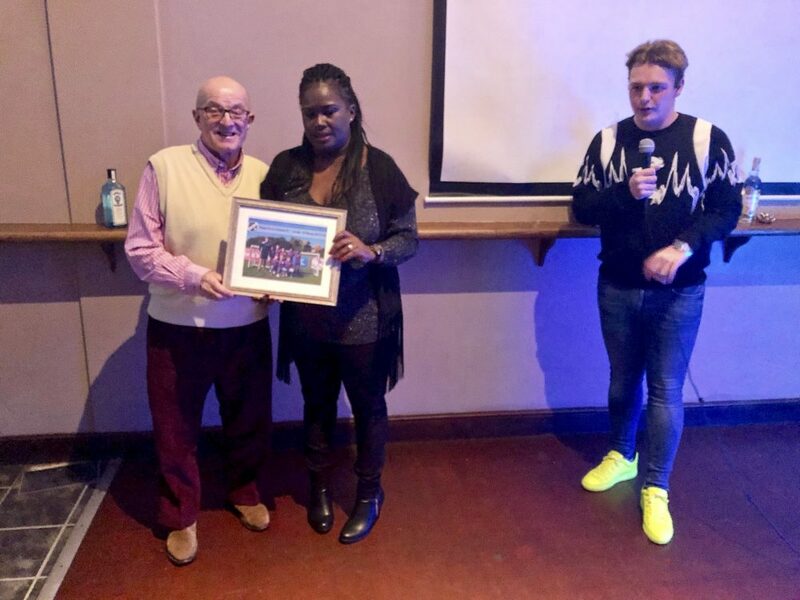 Bow Geezer Barrie Stradling said, “We all had a wonderful time, it has been our pleasure to support them, long may it continue.” The party was held at the Powerleague Newham, Norwegian Playing Fields. Geezer, Ray Gipson, with Susan Morrison who was a major influence on the establishment of The Geezers. A great Xmas card put together by Bradley Challis, seen here as Santa. Also see our previous article below. The Geezers Sponsor Little Geezers!